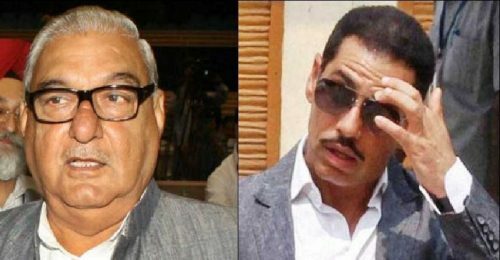 FIR lodged against Robert Vadra and former Haryana CM Bhupinder Singh Hooda for alleged irregularities in Gurgaon land deal. In April 2017, Justice SN Dhingra Commission report had concluded that Robert Vadra, son in-law of Congress president Sonia Gandhi and brother-in-law of party president Rahul Gandhi, made unlawful profits of Rs 50.5 crore from a land deal in Haryana in 2008 without spending a single paisa. The commission, set up in May 2015 by the Manohar Lal government in Haryana, was asked to look into the grant of licences for change in land use in four villages of Gurugram.